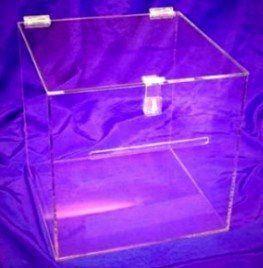 11" x 11" x 10"h This clear acrylic cover and clear acrylic base also comes with the clear acrylic footed vase. 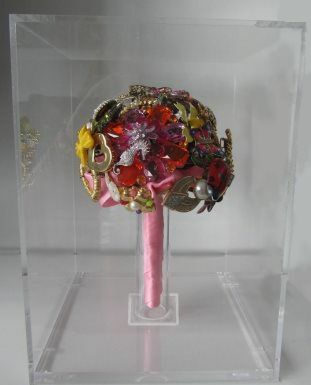 Display and protect your Brooch Bouquet in this finely crafted display case, made in top grade 3/16" thick clear acrylic. Place the Bouquet in the vase, set it on the clear acrylic base and place the cover on!